It’s mine exploring with attitude! 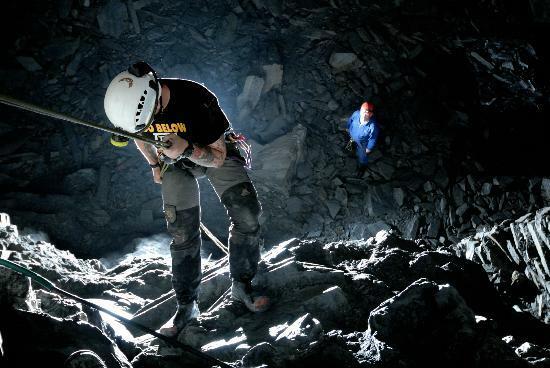 Whether you want to climb a waterfall or scale an airshaft, descend to the deepest accessible point in the UK, leap off of our 70ft freefall or ride the longest and deepest underground zip line in the world. There are trips to suit all ages, abilities and fear factors! Open in all weathers! The ultimate group zipping experience, Titan is currently the largest zip zone in Europe. 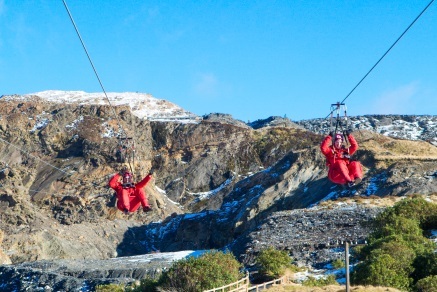 Zipping in a seated position, you are afforded stunning views over Blaenau Ffestiniog and down the valley ahead. Zip World Titan encompasses three zip lines – Alfa, Bravo and Charlie. Each rider travels over 2,000m. The total length of the zip lines is over 8,000m! Nestled in the spectacular Conwy Valley, Zip World Fforest offers an idyllic woodland setting for all your adventurous wishes. Enjoy a journey through the canopy of the trees on Zip Safari, affording spectacular views of the valley and out to Moel Siabod or bounce and explore to your hearts content on Treetop Nets. Free fall from up high on Plummet or soar over the tree tops on the giant five seater swing, Skyride. Fancy trying something new or looking for a challenge? 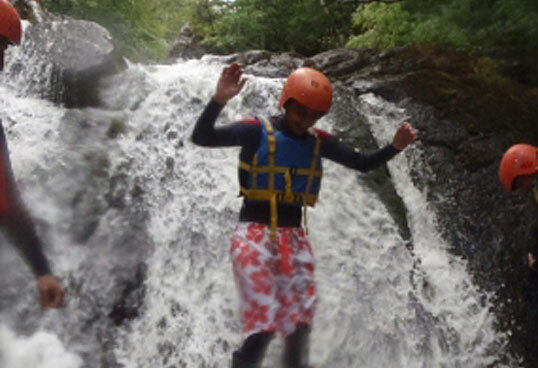 Choose from gorge scrambling, coasteering, kayaking, sea kayaking, rock climbing, canoeing or a mountain day. Each activity is tailored to your group to allow you to enjoy your time at your own pace. All staff hold the required NGB qualifications so you are in safe hands. Think of an activity and there’s a good chance that you can do it here. 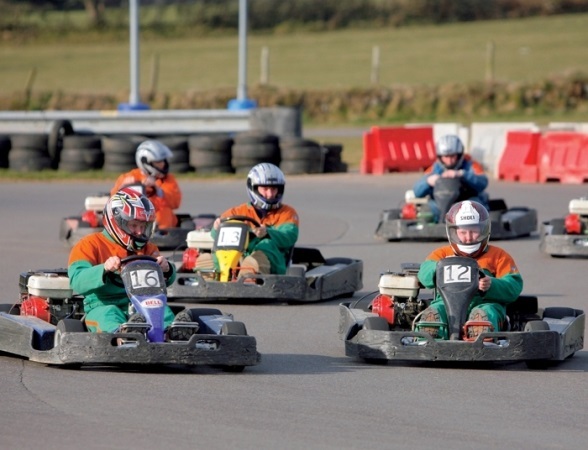 Go karts, quad bikes, archery, fishing and ten-pin bowling are just some of the things on offer. There’s also a state-of-the-art wakeboarding and water sports park packed with exciting features. It’s billed as ‘North Wales’s premier action and activity centre’. There’s an award-winning farm shop and café on site too. If you would like your activities organised for you, try Seren Adventures. Based in Betwys-y-Coed, Seren Ventures provides adventure activities, outdoor skills courses and guided mountain walks in Snowdonia. 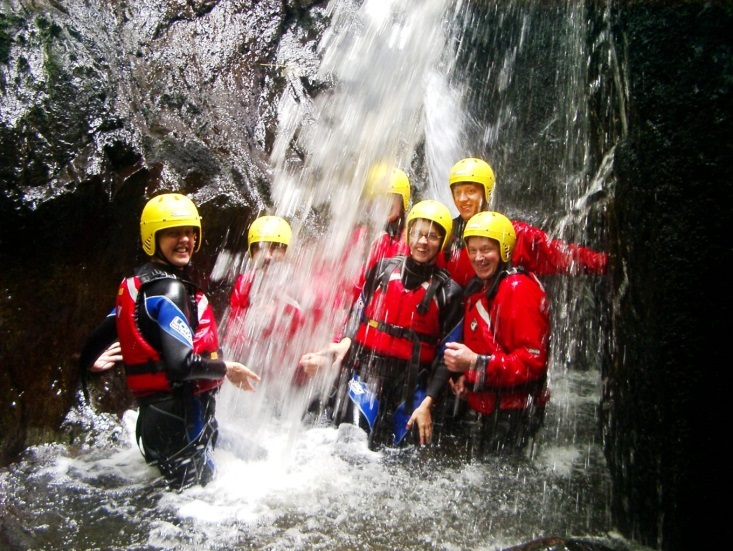 Activities on offer include; rock climbing, scrambling, canyoning, coasteering and guided walks.